So elusive and so mysterious. 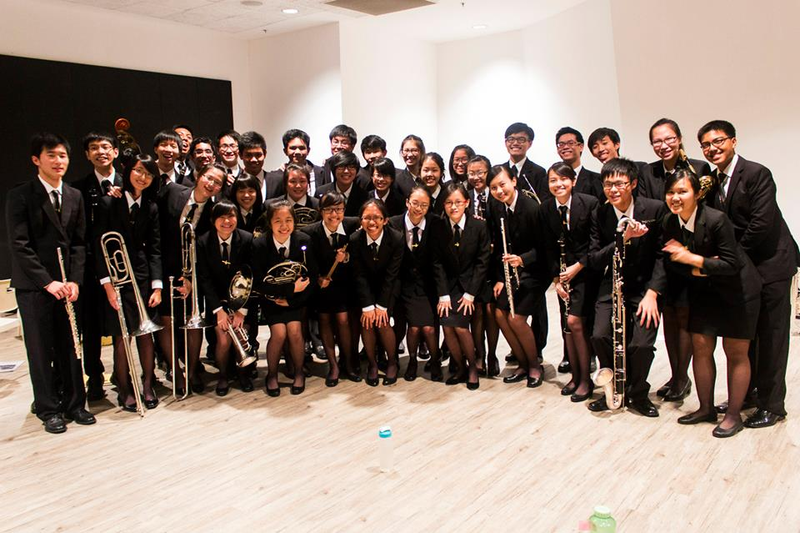 Yes, it’s the Raffles Symphonic Band (RSB), Raffles Institution’s (Year 5-6) own symphonic band. Being one of RI’s musical ensembles, we are a bunch of passionate musicians who like to play a multitude of pieces, ranging from Beethoven’s works to funky Japanese Graffitis. To us, RSB is a safe haven for those who wish to continue their musical journey in band or learn to play a brand new instrument. 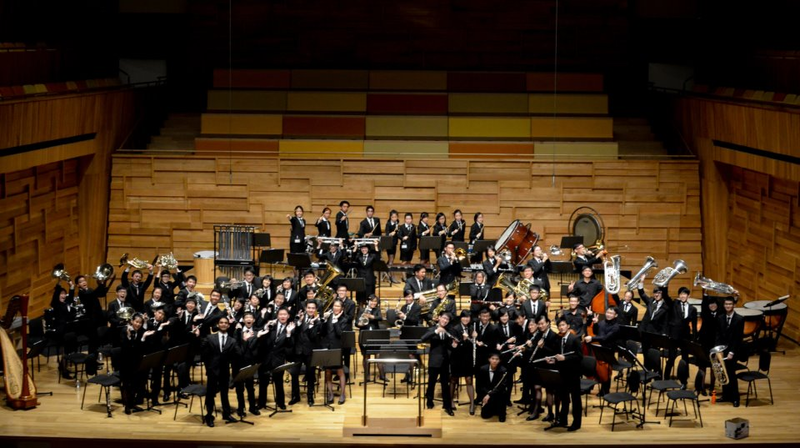 Established in 1982 as Raffles Junior College Symphonic Band, RSB has regularly participated in prestigious competitions such as Singapore Youth Festival and Singapore International Band Festival, coming away frequently with top awards. 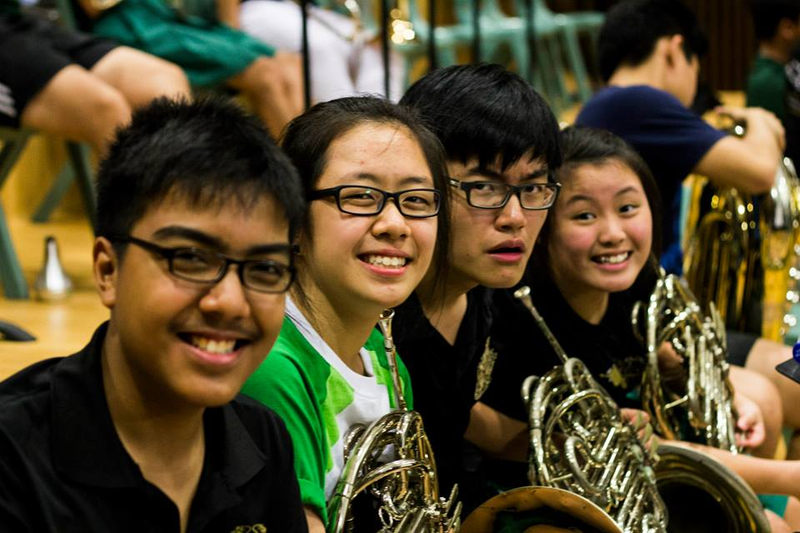 However, this year RSB took the off beaten track: passing the opportunity to perform in the 2013 SYF Arts Presentation. The unorthodox move was intended for our young musicians to delve deeper into a wider range of band music. Nevertheless, opportunities for musical showcase still abound for RSB. Two words: Los Angeles. 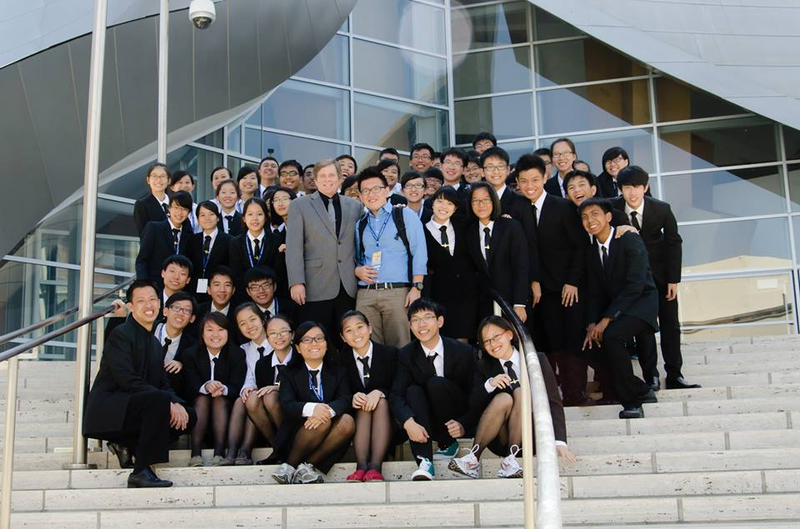 Yes, RSB for the first time participated in the Los Angeles International Music Festival in June 2013. We could agree that the experience of traveling to Cali, playing perky pieces in Disneyland and meeting many more ensembles in the music festival was a bit overwhelming at first, but it was definitely one of the best moments in our band life! Memories to be treasured, friends that last for a lifetime; they were made on this remarkable trip. But wait… Aren’t we missing an important thing here? Rehearsals! RSB’s milestones wouldn’t have been possible without our worthwhile practices. In secondary school, band is one of the most dreaded CCAs due to its long practice hours and of course, the wrath of the conductor. Rest assured, RSB’s schedule is neither hectic nor lax; we have practices twice a week, with additional rehearsals closer to major events. Our conductor, Mr. Lim Yean Hwee never fails to entertain us with his witty jokes while inspiring us to engage with the music we are playing (He happens to be my secondary school band conductor too). Our rehearsals are simply a much needed respite from the stressful JC lives, especially when it is located far away from the Year 5-6 section (RSB’s rehearsal venue is at the Yusof Ishak Block of the Year 1-4 section of RI). Now you know why RSB is so elusive and so mysterious. Not only our rehearsal venue is isolated from the Year 5-6 campus, our performances are like diamonds; rare and prized. At the end of the day, RSB welcomes anyone who is willing to commit to playing great music with like-minded musicians, whether he is an experienced one or not. While RSB cannot promise you an easy breezy JC life, RSB can definitely promise you a meaningful musical journey in your two years of JC education.